On Monday May 30th 1988 Walsall celebrated promotion to Division Two following a splendid 4-0 win in the Play off Final Second Replay against Bristol City thanks to a hat trick from David Kelly and a goal from Phil Hawker. 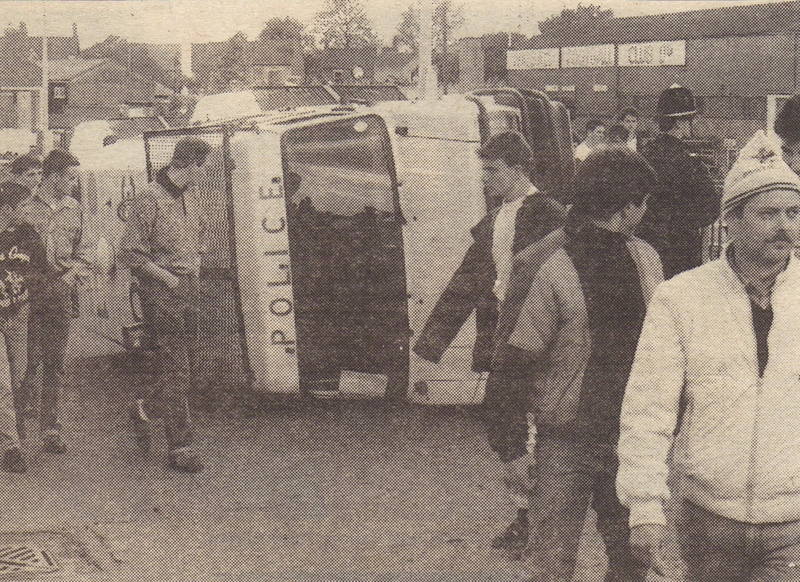 However some disappointed Bristol City supporters overturned a police transit van and a police dog van after the game, outside the Fellows Park ground. 44 arrests were made before, during and after the game.